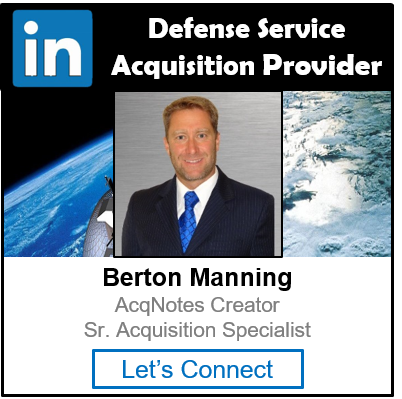 A Defense Business Systems (DBS) are information system, other than a national security system (NSS), operated by, for, or on behalf of DoD, including financial systems, mixed systems, financial feeder systems, and Information Technology (IT) and Information Assurance (IA) infrastructure. DBS support business activities such as acquisition, financial management, logistics, strategic planning and budgeting, installations and environment, and human resource management. Directive-Type Memorandum (DTM) 11-009 “Acquisition Policy for Defense Business Systems” – 19 Jan 2013 establishes policy requiring the use of the Business Capability Lifecycle (BCL) model as the acquisition process for DBS. An approved business need that requires a materiel solution shall be divided into discrete, fully-funded, and manageable increments to facilitate development and implementation. Each increment shall be a useful and supportable operational capability that can be developed, tested, produced, deployed, and sustained. The principles of BCL can apply at the increment and at the release level. Thus, there may be multiple releases within an increment. Multiple increments may also be approved concurrently if they have well defined and approved requirements, are fully funded, have appropriate entrance and exit criteria, and the Milestone Decision Authority (MDA) Authorization to Proceed (ATP) is documented in an Acquisition Decision Memorandum (ADM). Defense Business Systems Management Committee (DBSMC) The DBSMC is an organization that provides oversight of defense business systems. The Chair of the DBSMC is the final approval authority for all defense business system certification requests. They are responsible for approving Certification Authority (CA) certification of funds associated with Defense Business System modernization efforts. The Business Case to determine that Business Process Reengineering (BPR) efforts have been undertaken. The DoD Components are required to establish or employ decision bodies with similar responsibilities for DBS that do not meet the Major Automated Information System (MAIS) threshold.